This study explores the relationship between inclusive wealth, economic growth, and productivity of natural capital (including forestry, fishery, fossil energy reserves and minerals) for 140 countries between 1990 and 2014. For this objective, a Malmquist productivity index is developed, and regression analysis is performed. The results are threefold. First, we found that natural capital deterioration constituted the main driving force of declining wealth per capita following fossil fuel extraction. Second, the adjustment to a conventional productivity growth measure depends on GDP growth and an endowment growth shift of natural capital relative to other input factors. Third, we also found that the initial phase of GDP growth was accompanied by slower natural capital utilization followed by a phase of deterioration as these countries continue to develop economically. With further economic development, enhanced technology and effective natural resources utilization limit the material basis and result in reduced natural capital extraction. These results imply that natural capital extraction management for a broader income level can be implemented for sustainability in both the short and long term. This paper was supported by a Grant-in-Aid for Specially Promoted Research (26000001) by the Japan Society for the Promotion of Science. Any opinions, findings, and conclusions expressed in this material are those of the authors and do not necessarily reflect the views of the institution’s and funding agencies. where V, U, C and \(\delta\) represent well-being, current well-being, consumption, and the social discount rate respectively. 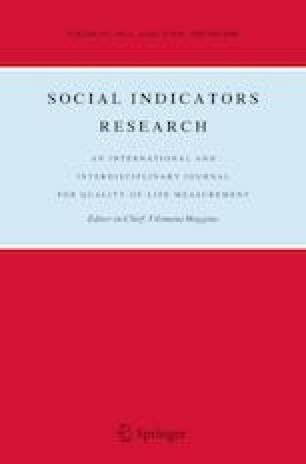 The direct measurement of well-being, V, might be a suitable approach in assessing sustainability, along with Eq. (1). However, because of the difficulty of observing well-being, Arrow et al. (2004) proposed for an alternative approach, namely measuring the productive base of V based on the determinants of well-being. This aggregated capital of productive based is termed as Inclusive Wealth (IW). It is includes produced capital, human capital, natural capital, and intangible capital, such as knowledge and institutions. Accordingly, we can define IW at time t.
Each P is shadow price of the capital asset, defined as δWt/δC, where K is each capital which is PC(t), HC(t) and NC(t) represent produced capital, human capital and natural capital at time t, respectively. We utilize gross domestic product (GDP) as the desirable output. This calculation is based on millions of constant 2005 US$. There are several method to calculate productivity growth, such as data envelopment analysis, parametric methods or econometric methods. Several methodological issues emerge when TFP is estimated using traditional methods, i.e. by applying ordinary least squares (OLS) to a panel of (continuing) firms. First, because productivity and input choices are likely to be correlated, OLS estimation of firm-level production functions introduces a simultaneity or endogeneity problem. We used a deterministic nonparametric analysis called Malmquist Productivity Index, based on the Data Envelopment Analysis (see review for Färe et al. 1994, Kerstens and Managi 2012). The index is suitable for assessing the relation between multivariate inputs and outputs. In addition, the measurement takes into account the efficiency of resource use and productivity changes. DEA is an established method in order to measure the relative efficiency of decision-making unit based on input and output in the sample (Mizobuchi 2014). where d is the geometric distance to the production frontier caused by production inefficiency, while the frontier denote the best available technology from the given inputs and outputs; i refers to the country under analysis, running i from 1 up to 140 nations in our sample; GDP is the corresponding value of gross domestic product; HC stands for human capital; PC represents produced capital; NC represents natural capital. Thus we capture the productivity change from the variations in inefficiencies between two years. In this equation, Y denotes natural capital productivity, X represents GDP per capita, uit is traditional error term, i symbolizes individuals and/or groups, and t is time. The signs of the coefficients of X, X2, and X3 determine the shape of the curve. We employ panel regression techniques to estimate Eq. (6). Panel data approach encompasses data across cross-sections and over time series, thus provides a comprehensive analysis to examine variables of interest. However, the use of panel data and dynamic specifications make this problem more complex. Alternatively, to eliminate the serial correlation problem, Zhengfei and Lansink (2006) suggest the use of a dynamic generalized method of moments (GMM) model to analyze TFP measures estimated by DEA. Therefore, we employ system GMM to analyze productivity change in this article. BP. (2015). Statistical review of world energy 2015. Retrieved from http://www.bp.com/statisticalreview. Choi, E., Heshmati, A., & Cho, Y. (2010). An empirical study of the relationships between CO2 emissions, economic growth and openness. IZA discussion paper no. 5304. Available at SSRN: https://papers.ssrn.com/sol3/papers.cfm?abstract_id=1708750. Conference Board. (2016). Total economy database. Retrieved from http://www.conference-board.org/data/economydatabase/. Food and Agriculture Organization of the United Nations (FAO). (2015). Global forest resources assessment 2015—main report. http://www.fao.org/3/a-i4808e.pdf. Helliwell, J., Layard, R., & Sachs, J. (2012). World happiness report. http://eprints.lse.ac.uk/47487/. International Labor Organization. (2016). Key indicators of the labour market (KILM) database. Retrieved from www.ilo.org. Narayanan, B., Aguiar, A., & Mcdougall, R. (2012). Global trade, assistance, and production: The GTAP 8 data base. Center for Global Trade Analysis, Purdue University. http://www.gtap.agecon.purdue.edu/databases/v8/v8_doco.asp. OECD. (2014). Better life index. OECD Better Life Initiative. Retrieved from http://oecdbetterlifeindex.org. OECD. (2016). OECD national accounts. Retrieved from http://stats.oecd.org/. Talberth, J., Cobb, C., & Slattery, N. (2007). The genuine progress indicator 2006 (p. 26). Oakland, CA: Redefining Progress. http://sustainable-economy.org/wp-content/uploads/GPI-2006-Final.pdf. United Nations Statistics Division. (2016). National accounts estimates of main aggregates. Retrieved from http://data.un.org. United Nations Population Fund. (2017). Worlds apart: Reproductive health and rights in an age of inequality. https://www.unfpa.org/sites/default/files/pub-pdf/UNFPA_PUB_2017_EN_SWOP.pdf. U.S. Energy Information Administration. (2015). International energy statistics. Retrieved from http://www.eia.gov/countries/data.cfm. U.S. Geological Survey. (2015). Mineral commodity summaries. https://minerals.usgs.gov/minerals/pubs/mcs/2015/mcs2015.pdf. World Health Organization. (2016). Life tables for WHO member states. Retrieved from http://www.who.int/healthinfo/statistics/mortality_life_tables/en/. World Bank. (2016). Indonesia [data by country]: World Bank Data. http://data.worldbank.org/country/indonesia.